I love going to the movies. But, in recent times, the entertainment value has been as sparse as a pensioner’s hair. 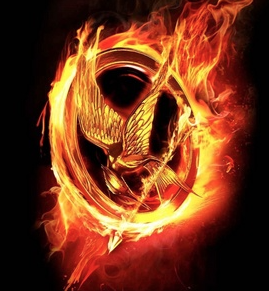 When “The Hunger Games” – the books, that is, came out, I had high hopes for the future of young readers’ literature. Then, the films. A female Robin Hood, a crack bowshot and a lifter of innocents’ heads. 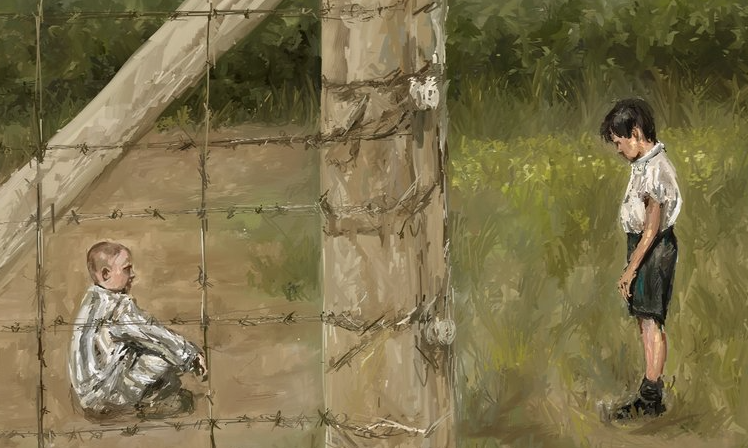 What could be more inspiring than the overthrow of the evils of a post-apocalyptic world, neatly divided into task-driven work camps and overseen by a rich and privileged elite to which even in their insular luxury, nobody really wanted to belong. The third in the series is a waiting room for the fourth film, and little else. We are supposed to see character development and political intrigue, one supposes, but the holes in the net are too big, the entertainment value is flimsy and one is left with the impression that you have to get through the boring bits to get to the battle scenes in Part Four. As a commentary on personal sacrifice in the face of fascism, it makes a degree of sense, but I resent being made to pay twice presumably because the momentum gained in this one will be unleashed in a coruscating display of special effects as the Capitol falls, as undoubtedly it must. Flat and tedious, sadly. 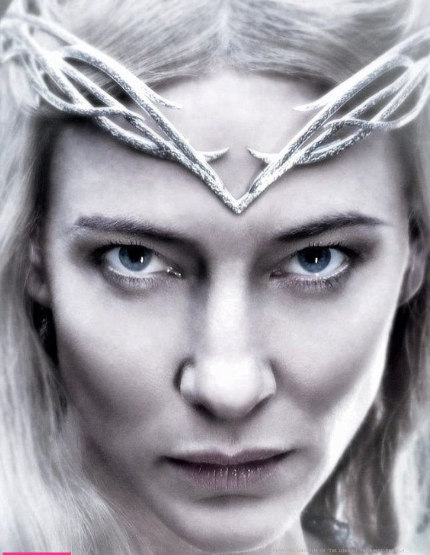 Elvishly winsome, which is meant to be mystical but actually looks like constipation caused by acute macrobiotic consumption, Cate Blanchett, now 45, reappears with Orlando Bloom and all the rest of them in in the latest 3D fantasy stretch containing one hobbit, several dwarves of variable height and ugliness, two Orc armies whose battle tactics involve head-butting walls down and a few humans who just seem to get in the way. Perhaps I am just too old for this kind of fantastic nonsense where one sacrifices all imaginative talent in the face of an admittedly spectacular but utterly non-Tolkienesque rendition of the final battle. Even his title ‘there and back again’ has been spiffed up to ‘the battle of the five armies’. The seating was mercifully comfortable, however, so much so that the Gipsy fell asleep. Poor Stephen Fry looked lumpily apologetic as if he could barely escape fast enough with his stolen gold before the dragon Smaug – voiced by a Satanically resonant Benedict Cumberbatch, blazed through his town with incendiary, flame throwing efficiency. Billy Connolly’s character, ancient Dain Ironfoot, had a remarkable turn of speed on the battlefield for one of pensionable age, armed with what looked like a large red plastic cudgel. The awfulness beggared description. A spectacle? Oh, yes. Clever? Undoubtedly. Violent? Only in some childish, 3D video-game sort of way, which might appeal to ten-year-olds. Stretching out the fantasies, again, after ‘the Desolation of Smaug’ – more of a pit-stop than real film – it’s cheap and really quite stinky of Hollywood to make the must-see finale with elements from The Lord of the Rings as well. It’s just making people pay twice and once you’ve seen one Orc with bad teeth, you’ve seen ’em all. 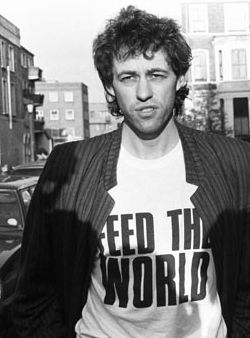 The Boomtown Rats once wrote a song called ‘I Don’t Like Mondays’. I don’t like the reimagined money-spinner, Band-Aid’s racist, patronizing, insensitive, us-and-them catchy little number that is supposed to be for raising money to combat Ebola in Africa. Africa’s a continent, for God’s sake, one hundred and thirty times bigger than the UK. The rather aggressively moralistic stance it takes has all the geopolitical nuance of making your child clean their plate because ‘thousands are starving’. The original song asked us to imagine an Africa filled with the dirt-poor, hard-scrabbling to scavenge enough food to last the day, carrying water for hours just to be able to cook a meal. Filled with victims waiting for the white man’s salvation, so very selflessly offered. As a child, I listened to a lot of what I used to think of as ‘maiden aunt’ speeches from missionaries on furlough who were ferried around to different congregations in order to scrape together enough cash for the next six months in ‘the field’. It always seemed to me that the perpetuation of an us-and-them approach to evangelism or famine relief or whatever was both patronizing and served to deepen the gulf between the haves and the have-nots. The Haves feel good about giving; the have-nots get into the habit of receiving. Both are socially irresponsible. The Ebola virus’ cross-species transfer is unfortunate at the very least. The fact that it has become a crisis, like the Ethiopian famine, has been engineered by human incompetence. 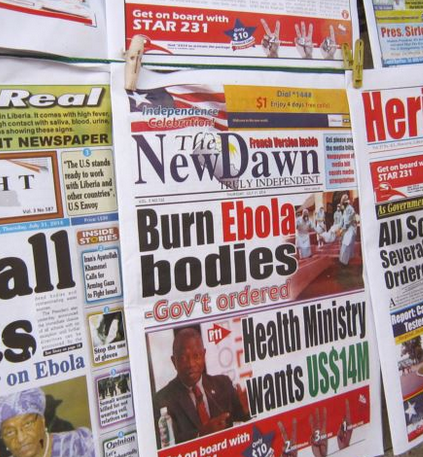 In Nigeria, where public health infrastructure exists, the outbreak has been short-lived and fatalities usually occur through neglect, which is why the outbreaks in Sierra Leone and Liberia have caused an exponential increase in people dying. Incidentally, diarrhea will kill just as many Liberians as it did before and for exactly the same reasons. Untreated malaria racks up an even bigger body count. Neglect costs lives. OK. It isn’t a very good song. Even the title “Do They Know It’s Christmas?” is the self-righteous asking if the poor benighted heathen who apparently sit in perpetual darkness have any concept about the Saturnalian solstice with reindeer, Santa Claus and some guy called Jesus. Yes, of course they “know”. Twenty-four per cent of Christians worldwide are African. Lots of them get trees, holly and mistletoe and sing ‘See Amid the Winter’s Snow” despite the fact that most have never seen any and lots more dispense with Victoria and Albert’s version and do it in their own way. But, we like the idea of raising money for good causes, so we’ve bought it by the truckload. 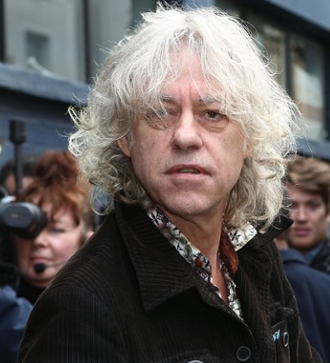 Geldof himself remarked “It really doesn’t matter if you don’t like this song. It really doesn’t matter if you hate all the artists. What you have to do is buy this thing.” Fair play for honesty. It’s almost that time of year again. Hanukkah meets Xmas, aka ‘the Clash of the Titans’. The French are rather more civilized than other nationalities, preferring to decorate their public spaces rather than their homes with multicoloured reindeer dashing across the roof tiles and bucolic Santas waving bottles of champagne. One image I saw recently had a garishly decorated house with all of the preceding plus a forest of illuminated trees and a gigantic star invisibly positioned above the front porch where the electricity bill it ran up over Christmas would have bought a drone strike on ISIS. The neighbouring property had the word “ditto”, spelled out in coloured lights. Churchmen worldwide are already trawling Facebook and Tumblr for the newest hipster spin on the old, old story, prepping the eight year olds not to include Darth Vader as one of the Kings in the Christmas Crib and buying wholesale oranges from Waitrose in the hope that the Christingle service doesn’t make the place stink of Cointreau until Epiphany Sunday. Many, of course, particularly those trained in the Modern Tradition, with degrees from liberal universities as well as their three years behind bars at Vicar School are using the opportunity to rework the myth and the magic for a generation who can only with difficulty be persuaded to turn their smartphones on to ‘silent’ for the duration of the services. Contrary to popular belief, the Archangel Gabriel isn’t an eight year old girl in a party frock, bringing ‘good tidings of gweat joy’. He is instead a fearsomely huge light-clad entity, bathed in the illumination of Heaven with a voice like many waters. Eight year old girls may be fearsome, especially when crossed, but the little squeaky voice might get lost in the electromagnetic discharge which would inevitably accompany the presence of the real thing. Secondly, the Magi, or magicians, the Albus Dumbledores of the time were in fact a trio of bishops en route to an interfaith conference. They were apparently on their way to Petra but had gotten on the wrong bus and had been promised cheap rates at the Bethlehem Marriott. Astronomical evidence reveals that the star ‘of royal beauty bright’ was not, in fact, the planet Venus, instead was probably a Roman spyplane hovering over Bethlehem, a known area of Zealot unrest. The camera footage has unfortunately been lost over time. The story about asses and oxen is fictitious. In the third century, the Vatican edited out the kangaroos, platypi and llamas in the hope of concealing the growing body of evidence that the world was round. We are led to believe that persons tasked with ovine management were seated on the ground. It was, of course against union rules for managers, especially the elderly and arthritic, to squat like gnomes on hard surfaces, playing merry hell with their piles. Small folding chairs were almost certainly used instead, similar to those found in Church halls. Some scholars believe that the Dead Sea Scrolls make oblique reference to a strange, red-clad figure, who may have been called ‘Sancta Callus’ in deference to his toymaking skills. The myth of the Holy Cabbage Patch dolls which he made and distributed is found in the writings of the Essenes, who burned them in effigy as idols. The arrival of Mary and Joseph at Bethlehem remains shrouded in mystery. Some scholars have it that Joseph needed a residency permit so that he could play on the Judean basketball team. Nonetheless, Hanukkah or Christmas, ‘tis the season to be jolly. Fa la la. Et cetera. It being the First of December and everything, my thoughts began to drift to the annual frightfest or Saturnalia which we in the West have henceforth decided that Xmas, or the Winter Holiday should become. I’m glad I live in France. It tends to lay off the carols-and-mince-pies type of bonhomie that you can’t avoid in the UK from mid-October onwards, instead relying on vast expenditures of electrical energy to light up the Eiffel Tower and the jolly animated displays in Galeries Lafayette. When the bill comes in January they’ll realize that it could comfortably have paid for the overthrow of a small dictatorship. Caveat dictator, as they say in Damascus. This came to mind because the seven year old son of our photographer disclosed over the lunch table without a trace of embarrassment a belief in Santa Claus. In Israel, near the end of term, Santa rode around on a camel to the delight of the rising fives. Joy to the world. Annually, the elderly bemoan the secularization of Xmas, while listening to that great Northern Hemisphere classic ‘Frosty the Snowman’ on the radio, a keyboard rendition of which I once heard by HM Ambassador to the State of Kuwait to riotous applause and much blowing of squeakers. 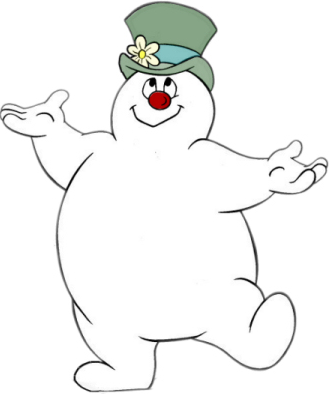 The only graphic I could find of him (Frosty, not HMA) suggests he is both fat and naked, for which I can only apologize. I have of course chosen one without his ubiquitous pipe – we wouldn’t want to give the impression that Frosty’s a crack-head, now would we? Frosty isn’t the only secular bandit. We have, of course ‘Rudolf’ who didn’t have a red nose because it was cold, he had one because of too much sherry. Does anyone still remember the beloved old classic ‘When Santa Got Stuck up the Chimney?’ Threatening in a nastily Fascist kind of way that unless he’s extricated, nobody gets any presents. Also, Father Xmas has obesity issues, which is why he got stuck in the first place, so there’s subliminal pressure to lose weight. I’m surprised there isn’t a French version since the entire nation is both obsessed with food and fitting into size zero dresses. 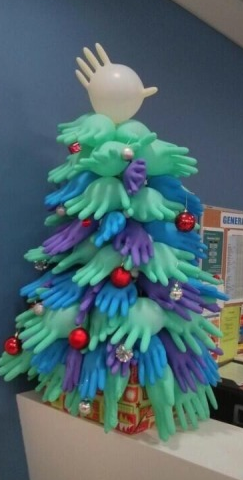 Like the scratching of fingernails on a blackboard, Bing Crosby’s ‘White Xmas’ can still be heard, warbling away in the background amidst haemorrhagic credit cards in shopping malls, and, ironically in an Israeli dentist’s waiting room in May. I felt instantly soothed. In hotel elevators, the drippily rising cadence of ‘Silver Bells’ is in evidence, even when going down, which is disorientating, together with the vomitous ‘Mistletoe and Wine’ and ‘Wonderful Xmas Time’ to the jingling accompaniment of imaginary sleigh bells. If you’ve ever been hoodwinked into going on a sleigh ride on Christmas Eve, as I once was in Austria, you’re far less concerned with the jolly winter wonderland as with trying to get home before extremities freeze and bits start dropping off. Now, don’t get all preachy on me, unless you’re a preacher and it’s your job. Just remember, the Incarnation is for life, not just for Christmas. Cheers (and mingled boos).